Participating Lecturer from the University as a Member in the Committee of Calculating the Points in the Quality Evaluation Form of the Website. 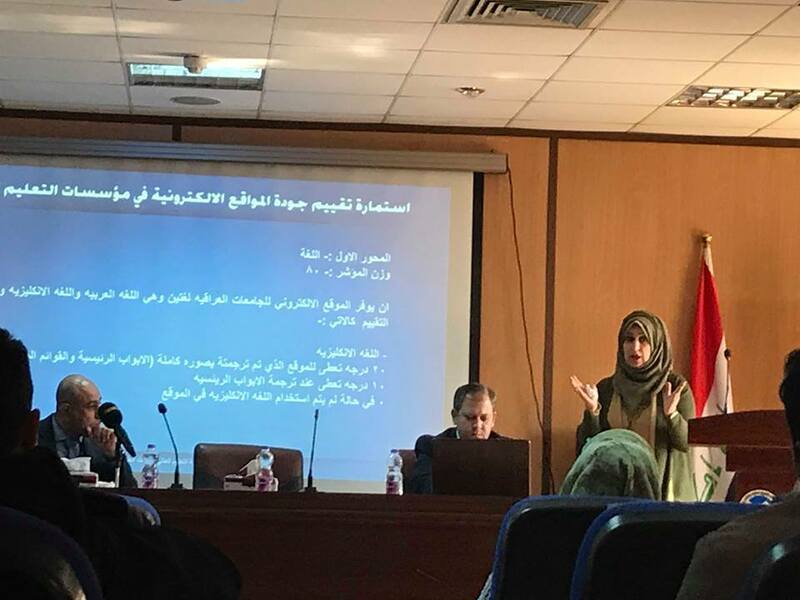 Dr. Roqaya Jawad from UOITC participated as an official member in the workshop organized by the Supervisory and Scientific Assessment department about how to calculate the points in the form of quality assessment of websites. This participation of the lecturer from BIC college came as a member of the committee of websites quality evaluations in order to present the main points of the website quality assessment form in the institutions of higher education and scientific research, which includes several requirements assigned with specific weights proposed according to the existed indicators in websites to be within the level of international websites. The lecturer Dr. Roqaya Jawad introduced the main points: first point related to the language that must be available in the official website of any educational institute that includes the quality and clarity of the website language (Arabic & English) which means the syntax of Arabic language with its scientific translation must be clear and formed efficiently as well as the news also must be edited correctly. While the second point related to explaining official domain of educational institute (.edu.iq) that consists of the educational domain and the Iraq domain as a country domain. In additional to that, there are many points were introduced, including the graduates who belong to the educational institution, communicating with them, the possibility of rehabilitation and employment and the opinion of job owners, scientific characters and the celebrities toward the graduates as well as the awards or remarks that can be obtained. While another point focused on the lecturers in the institution, their scientific biography and the ways of communicating with them. 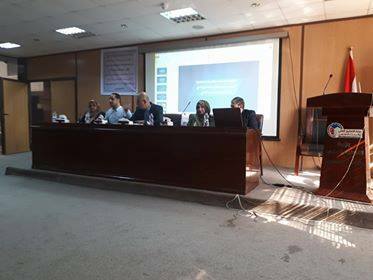 It is worth mentioned, the UOITC participated in the official presence represented by the representative of university website Mr. Suhaib S. Ahmed and a representative of the Department of Quality Assurance Mrs. Nevin M. S. Hamid.